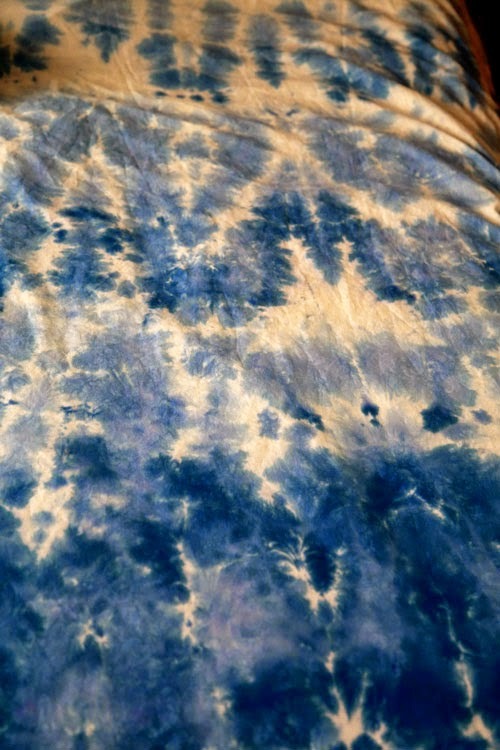 Shibori, the ancient art of Japanese tie dye, is one of the hottest trends in fashion and home decor. 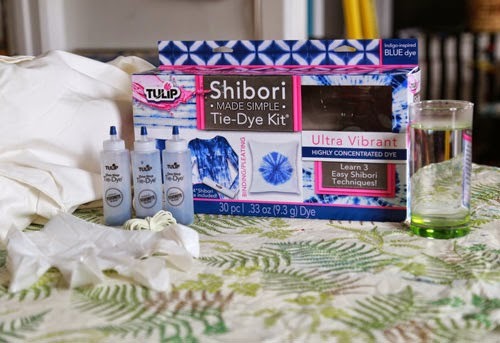 Off-the-rack, shibori items can be painfully expensive, but thanks to Tulip's new Shibori kit -- you are all set to make these items at home! Want to more? Keep going! 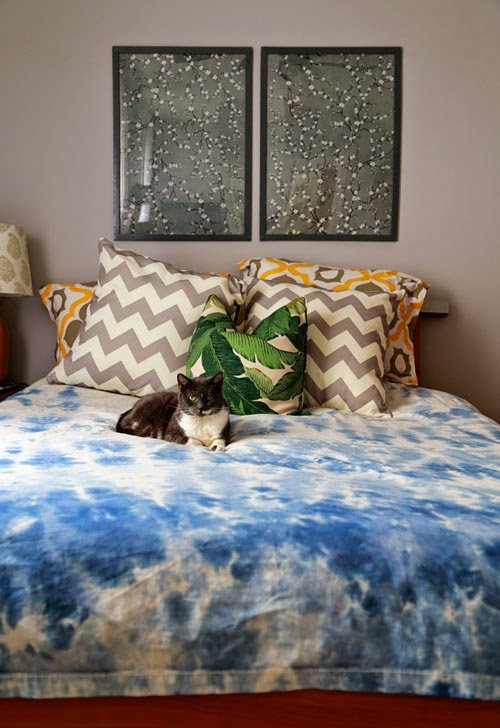 The best part about Shibori dye patterns is that they mix so well with other prints; stripes, dots, florals...even cats! 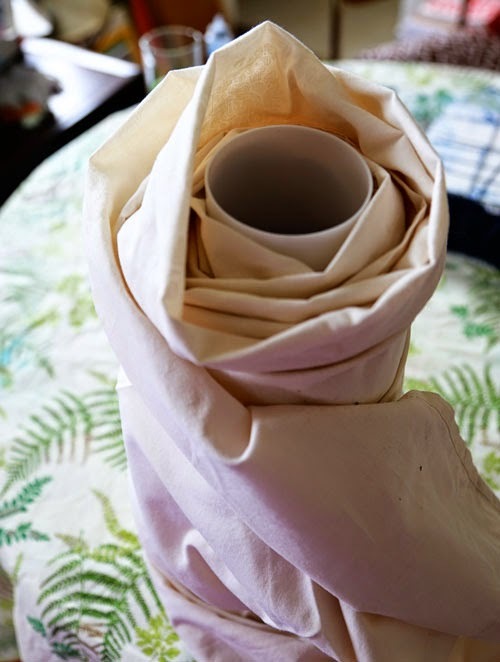 Roll the fabric around the cylinder (included in the kit), bunching and scrunching as you go. 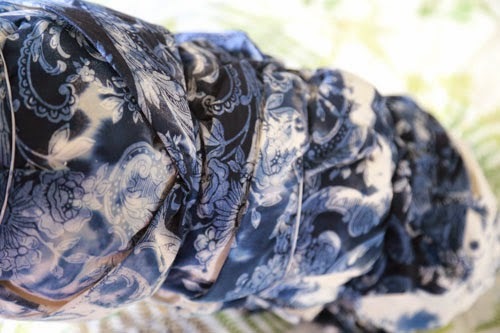 The more crinkles and ripples in the fabric, the more interesting the results! Secure with rubber bands. The more, the better. Fill the bottles with tap water. 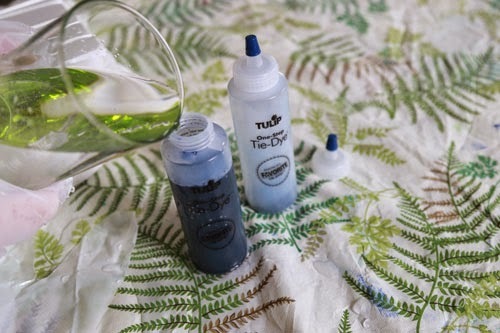 The kit comes with three small bottles, each containing powdered dye. This project required 2 bottles, but you can use more or less. Quirt the dye all over the surface. 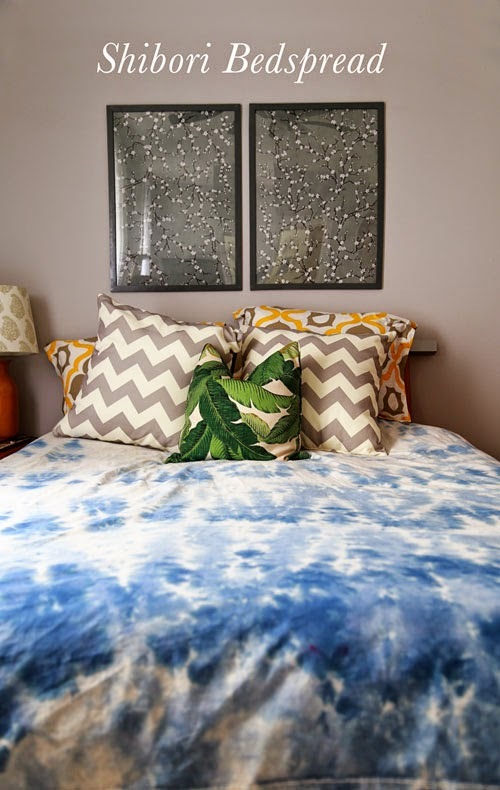 Notice how the damask pattern in the duvet comes out when it is dyed. That will mostly fade when it is dried, but that additional subtle hint of double-prints looks awesome in person! 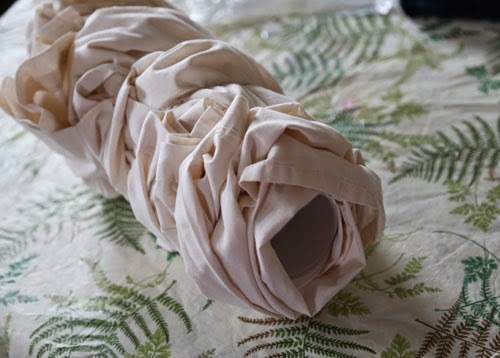 After letting the dye sit in a plastic bag for an afternoon, pull it off the pole and throw it in the washer and dryer. 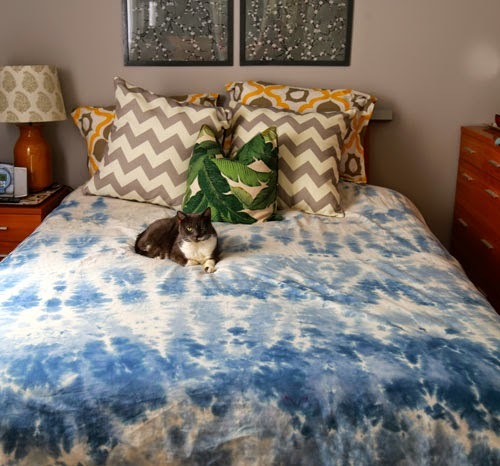 When it's dry, you'll have a fantastic new shibori bedspread. Enjoy! !